Boggy ground in the main is just an unpleasant place to be in, usually resulting in a boot (or both) full of water. Occasionally bogs can be more hazardous with deep areas, these can sometimes take us by surprise. Recently I was walking off after a great day scrambling, not concentrating. Everything seemed perfect: good weather, good visibility, no difficult navigation; half an hour and back at the car. The next thing I knew I was standing in the middle of a bog on ground that resembled a trampoline. I was pretty fortunate that I managed to keep dry while retracing my steps. By dropping my guard and not concentrating, I had made the mistake of not recognising the indicator of marsh vegetation (there was plenty of it about )and altering my route. Navigating your way around a boggy area, especially in poor visibility, is time consuming and can sometimes throw you off route; concentrate on your navigation using strategies such as boxing. A cool lake might seem inviting for a refreshing swim on a warm summer day, but more often than not the water will be extremely cold and can be very deep in places. There have been a number of people drowned while swimming in mountain lakes. 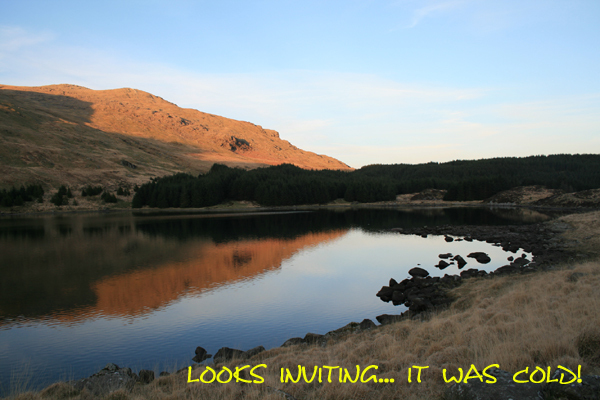 If you or your group members fancy a swim do be sure to put safeguards in place. 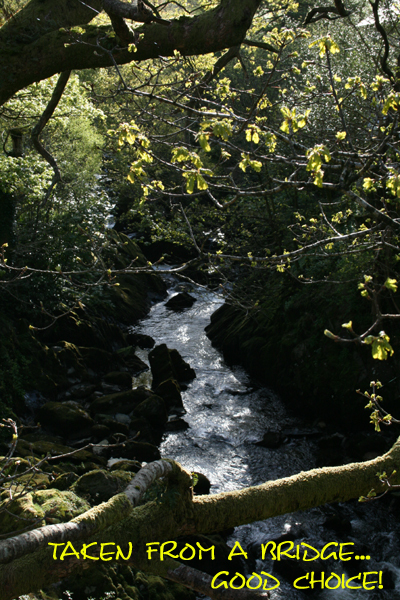 Fast flowing water means there’s a danger of losing your footing, falling in, and/or being swept down stream. Steep banks can make it difficult to get down into river and back out, could result in slip/fall into flow. 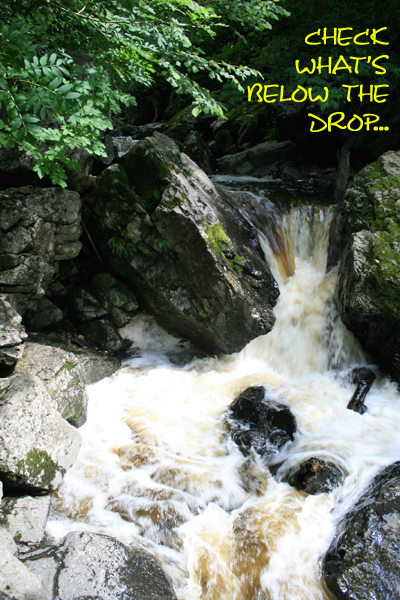 Drops and waterfalls are not a good place to attempt crossing near, as a slip can result in being swept away. Bends can create an uneven riverbed and flow. The water is deeper and flows faster on the outside of a bend; it is shallower and slower moving on the inside of the bend. Fallen trees can be extremely hazardous; avoid crossing above these, as the branches can trap a swimmer that is swept downstream. 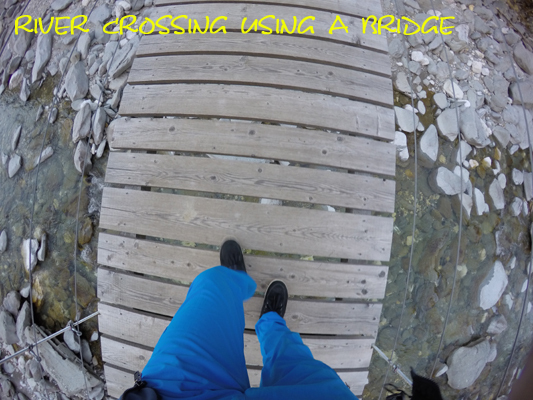 Crossing streams in good weather conditions is generally safe, and with care, just a matter of choosing a narrow crossing point with good take-off and landing areas, that requires just a step or jump to cross. It’s always good to put support in place by spotting to safeguard potential slips or falls. During or after periods of heavy rainfall streams can become hazardous, with fast powerful flowing water. Change your route and look for a better alternative; a bridge (if there is one) is always good… If there is no better alternative and you’ve decided to cross, look for a straight section of the river that is shallow, with a flat, even river bottom, and without steep banks and no instream or downstream obstacles. 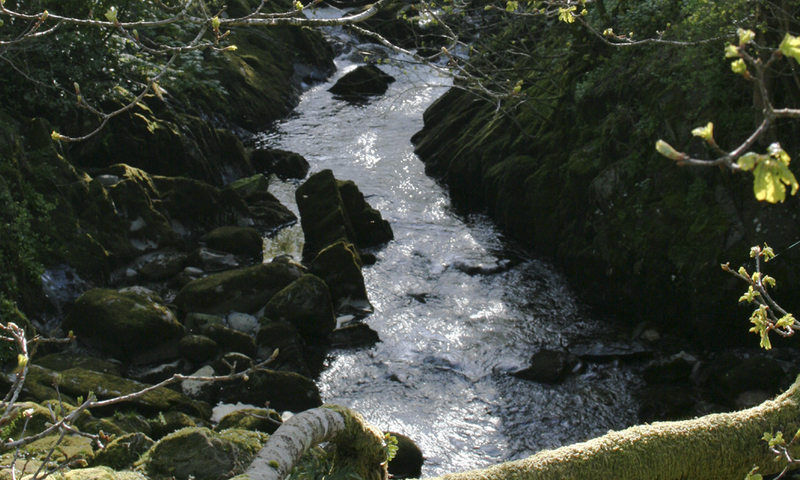 A good example of a stream that is a simple step across on a good day, but after heavy rain quickly become a raging torrent, is Nant Bochlwyd in the Glyders. I’d rather spend the extra time walking up to cross at source, than risk getting wet, or worse, falling in and getting swept downstream. Become familiar with various methods of river crossing techniques without a rope, (the use of ropes to aid river crossing is not recommended; it is now accepted that ropes and moving water don’t go together). If you can’t safely cross a stream or river in the UK without a rope you should look to re-plan your route. Single person crossing can be effective in very shallow and slow moving water; using a walking pole for added stability works well. Line astern facing up stream, moving sideways together, can give you greater security if the front person uses a walking pole for added stability. Group wedge is a good technique for getting a larger party across in one go. Face upstream and move sideways, with the biggest, strongest group members at the front and sides, allowing the smaller party members to be protected in the middle. Again the front person can use a walking pole. Clothing With all river-crossing methods it is good to check and if necessary adjust your clothing before entering the water. Rucksack straps should be loosened and hip belt and chest strap undone. Boots are best kept on, to protect feet and give secure foot placement. Trousers should be tucked in, or trouser legs rolled up; if available, gaiters are a good way to reduce drag in water.